December 15, 2016 /in Blog /by Andrew S.
The magic of synchronicity and playfulness can take you to special places if you are paying attention. In 2011, I was paying attention. One day I would plan my move from California to Hawaii. As a single working mother, I waited patiently for the signs. To keep my sanity and remain patient I dreamt about Maui; I immersed myself in books, videos, movies, and TV shows. 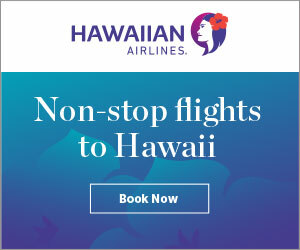 I was obsessed with it – this was my way of staying connected to the land of Aloha – a place my heart called home. I write about this in my novel “The Maui Magical Mystical Tour.” Keeping my dreams in focus eventually led me to Maui. In July 2011, I discovered the Life on Maui Show hosted by Steven Freid on YouTube. I liked it. It offered the kinds of topics I hunger for: inspiration, spiritual teachings, the law of attraction and many more subjects. I enjoyed its informal, casual and beachy settings. 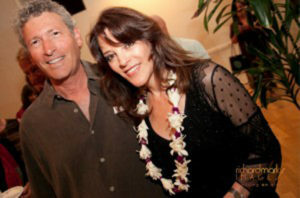 I thought, wouldn’t it be nice to meet Steve when I am on Maui? A year later in July 2012 I moved to Maui. The magic of the Internet guided me to my first home in the mystical Haiku jungle. 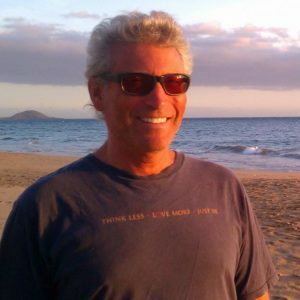 One day while shopping at Mana natural foods store, I saw the Life on Maui guy – Steven Freid. I introduced myself to him and let him know how much I enjoyed his shows. We became friends, and here he is at Keawakapu Beach graciously sharing his life’s journey with us. Kathy: What has been your biggest inspirations that have led you to where you are today? Steve: I have always been a film and talk show buff. I grew up in a family of artists. In our household, there was a great love of literature, film, music, and talk shows. We loved to discuss film and literature. This love for film inspired me to start a small chain of video rental stores in Pennsylvania in the heyday; 1981 through 1994. I love the art form of movies. By owning the video stores I stayed connected to that love. Kathy: Why did you decide to relocate to Maui? 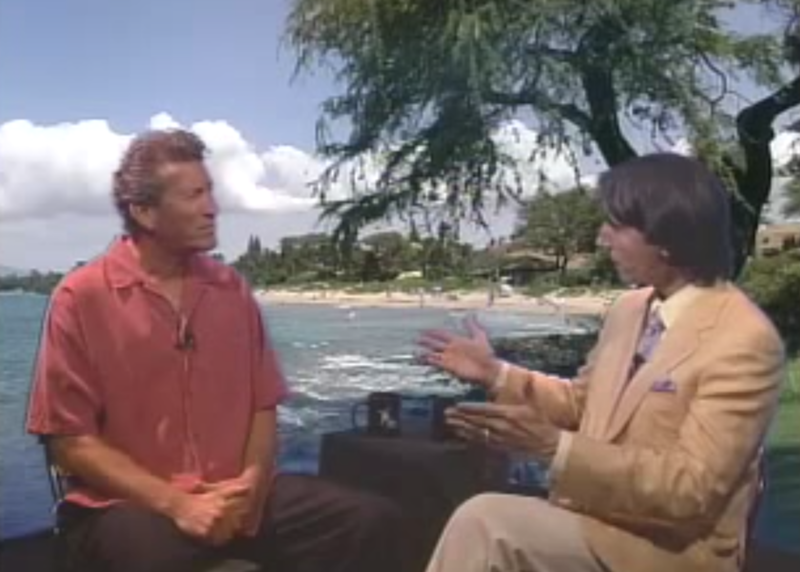 Steve: Before I settled on Maui, I had my eye on many places in the world. I considered Byron Bay, Australia and a little island off Auckland, New Zealand called Waiheke. I also thought of San Diego and South Florida. I traveled a lot to Jamaica; I loved it for its culture, music and the spirited, heartfelt people who were simple and beautiful. The food was wonderful too. I also checked out Costa Rica and Mexico, but none of these places fit me right. I discovered Maui by tagging along with an ex girlfriend who was attending a conference. I spent 10 days on the island. My first blush on Maui was, oh my God this place is developed and full of strip malls. I returned a year later and this time my feelings for Maui had flipped. I experienced it as a place with first world amenities and third world beauty! Maybe saying that is not politically correct but that is how it feels to me. Maui is the most beautiful, wonderful place in the world! 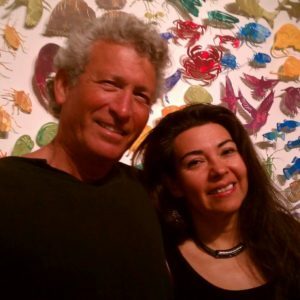 I moved to Maui 13 years ago just in time for the Maui Film Festival which takes place in June. I came with a clean slate. I had no relationship and no career in mind. I was open to all possibilities. The first person I met on Maui was this very intuitive woman. We quickly became friends and one day she said to me, you would be really good at hosting a talk show with your interests, personality and looks. She told me about the Akaku community access TV station and I followed up on it. There I met Bob Steiff and we collaborated on shows for two years. It was a perfect fit; I enjoyed being in front of the camera and he was masterful behind the camera. Kathy: Do you believe in the Maui Magic? And if so, what does it mean to you? Steve: Yes indeed, Kathy… this place is a place of magic; breathtaking and life-nurturing in every way! It is a small island yet so diverse in climate… from a day at the beach you can take a 40 minute drive 3000 feet up the mountain where you need to wear a sweater. You can hike into Haleakala’s volcanic crater or drive to rain forests and waterfalls. The different sides of the island hold different things. The south side, where I live now, has gorgeous stretches of beach and great hotels. 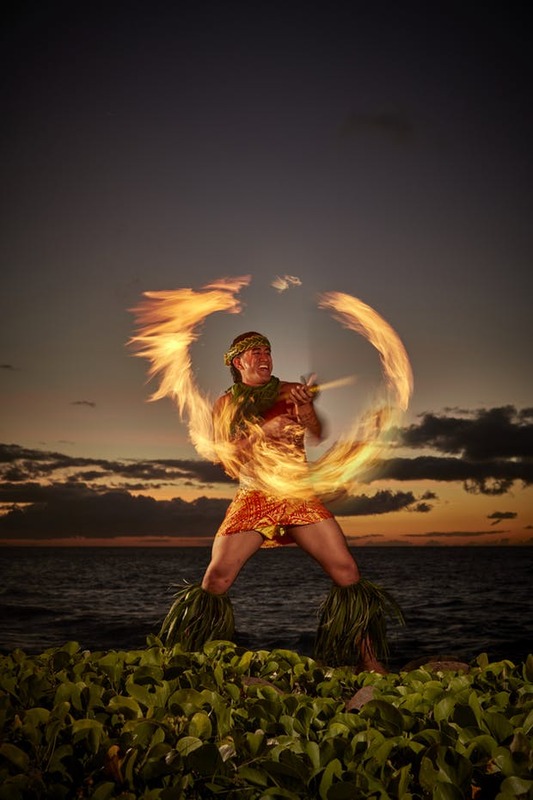 The North Shore where I used to live has a more local culture and instant connection with the Maui family. Kathy: Paia is known for the hippy or Bohemian culture. There are a lot of spiritual, intellectual and philosophical people. Some don’t have much in the way of possessions, but it doesn’t seem to matter to them. Steve: That’s true. There are some people living alternative lifestyles. I know this guy who lives 100% off the grid… no utilities, no water, no electricity. He is a creative soul and makes instruments and sells them. This is his lifestyle and how he chooses to live. A big part of Maui living is the openheartedness and instant connection. For example, Kathy, you saw me on the Internet and then moved to Maui and we meet at Mana Foods. That is instant connection! You find yourself hugging people and having wonderful conversations even at Costco… that is part of the Maui Magic. 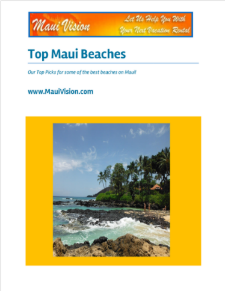 People here on Maui are not standoffish or overprotected, they are more laid back and approachable. Something drops when you come here. People become more accessible… that is the nature of this place. Another thing I love about Maui is the idea that what you have is not a measure of who you are… and that is very meaningful to me. You can be at the same party with a multimillionaire and someone who has very little and lives off the grid… and there’s no sense of judgment. WHO we are is more important… not what we HAVE. That is big part of the Maui Magic. After my 60th birthday, I left Maui for Thailand for a year and a half… I was seeking a relationship and the financial situation was more inviting there. I always wanted to try the “ex-pat” thing. Unfortunately, Thailand never felt like home to me. After giving it my very best shot, I came back to Maui. Upon landing here, I felt like kissing the ground because I knew this was home!. The only question was, how to find the kind of relationship I desired. I continued to work on myself and did a lot of inner cleaning to open up a space for that to happen. Within six months, I met the love of my life, Radhe. I have never experienced anything like it before … it was love at first sight!! Kathy: Do you ever wonder why you left Maui in search for love when all this time it was in your back yard. A lot of people go searching far places for peace, joy, love etc. when many times it was always there. Steve: HaHa… Even Dorothy had to leave Kansas to find the answer! Kathy: Who were the first celebrities that you interviewed? 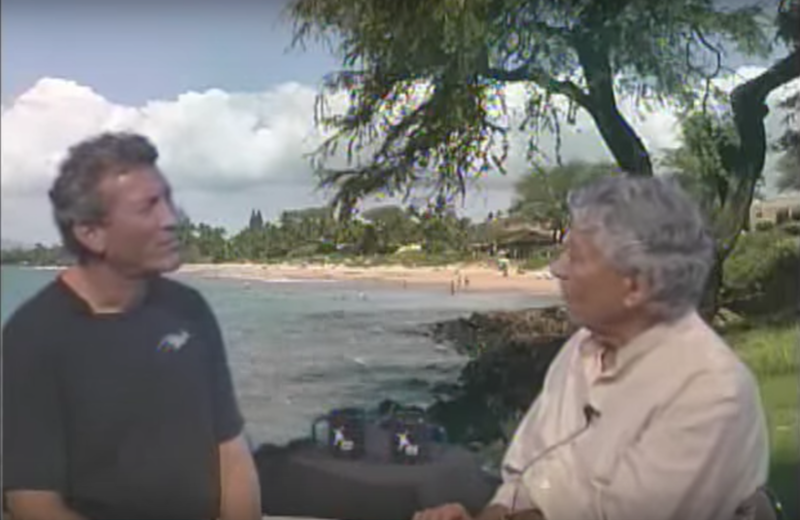 Steve: I met my first national guest celebrity at the Maui Film Festival; David Welsh, the producer of the movie the Peaceful Warrior. I think it was my 6th show. I really loved that interview. He had worked with Hal Ashby, the man who directed some of my favorite movies: Harold and Maude, Being There and Coming Home with Jane Fonda. He had great stories to tell. 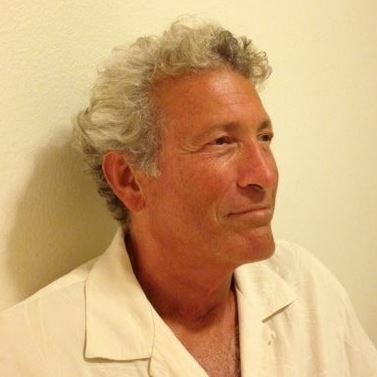 I interviewed Harold (Hari) Bloomfield, MD – a psychiatrist and New York Times best-selling author who did a whole series of“Making Peace” books… with your parents, your past, yourself, God, etc. Hari and I became best friends; we are like brothers. I interviewed him twice; once about his fascinating life story, where he reveals his “dark night of the soul” for the first time publicly. And the second time about the goddess culture on Maui and even the Maui goddesses liked it… HaHa! I interviewed John Demartini and Joe Vitale from the movie The Secret and wonderful best selling author Marianne Williamson who wrote “A Return to Love” and many other books. Those are some examples; there are plenty of others! Kathy: Two part question: what is your advice for someone who has a dream but feels stuck in life. And how did you meet your love Radhe. How did you open your heart to create the space? What kind of inner work did you do? Steve: Both are fundamental questions. What we want and who we want to be with! We all have gifts. I feel my gifts have to do with healing, entertainment, and communication. One of my healing gifts was expressed as a professional hypnotherapist when I was 25, and later in life (after owning video stores) another healing gift was to be a massage therapist which I did for 10 years. I became very successful quickly and worked in chiropractic offices and spas. I had a thriving home-based practice and went to other people’s homes as well. 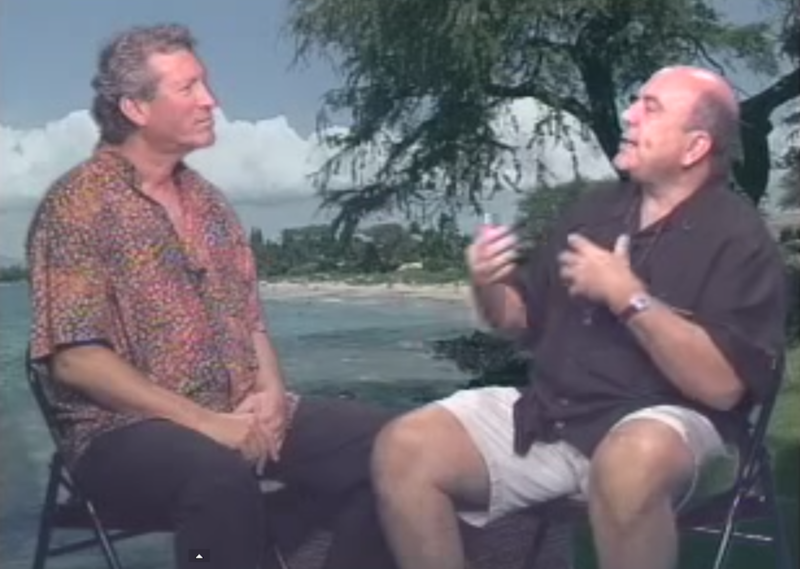 And lastly, there is my passion for communication and entertainment; that is where the Life on Maui Show comes in. So to answer your question… everybody has a gift. It is a matter of trusting it. We need to trust that gifts are given to us and the possibility for a livelihood comes with them. We need to identify and cultivate these gifts and share them with others. About relationships; we’ve all tried them in many forms… casual, serious, marriage, children, etc. And we’ve all had our disappointments. I have always been somebody who has done a lot of personal growth work. I did all kinds of seminars and workshops that helped. Four years ago I met Pali Summerlin. Her method has been very helpful in bringing light and clarity to my life and the lives of many others. I’ve interviewed her twice. Check out “Reclaim Your Attention From What Doesn’t Work”, Life On Maui with Steven Freid I really got in touch with what I wanted… a relationship that works beautifully at every level – body, mind and spirit. We are these beautiful, infinite beings walking around in these finite bodies and I feel it is our mission to get back to that simple truth. We might call this our innocent child self. The essence of every religion has stated the same thing. What is heaven? Heaven is experiencing Peace, Love, Trust, Ease… our true nature! Another foundational influence in my life has been my life teacher, Prem Rawat, whom I met when I was 19. He taught me what’s truly important in life and how to go within to find it!! He is the first one to say “What you are looking for is within you” and I have been cultivating that practice my whole life. It’s that beautiful experience we desire… not in an egotistical sense, but by getting in touch with our authentic selves. Radhe was also doing her part before we met. She was doing “inner cleaning” in her own ways. She was doing a lot of meditation, sun gazing, and inner transformation work. So when we met, we were two beings who had done a lot of inner work. When I saw her it was love at first sight… not lust at first sight, but love at first sight! It was a body, mind, spirit experience and I got it, I really got it. I was very transparent from the onset and I think that is very important. Being transparent does not mean being rude or being honest in a weird way, it just means being willing to be vulnerable; to be willing to be true to ourselves. I put all my cards on the table and it worked in the best sense of the word. My mother made a beautiful ring which I have been holding for 17 years. I knew one day I would give it to the woman of my dreams and I figured at the right time this special ring will fit her finger like Cinderella’s slipper. A year ago, I gave that special ring to Radhe as an engagement ring. It was perfect. We have been engaged for a year now. We don’t have any dates set, however, we are fully engaged; our connection feels complete. It is body, mind, and spirit. In the past I sacrificed parts of that; we all have done that. We think we have to settle. This time there are no sacrifices for both of us … we have it all. It’s also been fun and creative for us to co-host the Life on Maui Show for the past year! Kathy: What was Radhe’s clearing practice. Steve: She is very inner driven. I have tremendous respect for her in every which way. She also has a guru that she met a number of years ago. Watch my interview with her: Bolivia to Brooklyn: Reinventing Myself – A Life Story. Radhe’s clearing practice was through sitting meditation. Sometimes she would meditate 4 to 5 hours a day. This was her path. She had the time to do it; she created that time in her life. There is a Byron Katie quote, “The worst thing that could ever happen to you is a thought.” It is really true that people kill themselves over a thought. We have all experienced that. These thoughts are sometimes our worst nightmares. In her meditations Radhe could recognize her thoughts and not identify with them. She could separate herself from her thoughts so she could align herself with who she really is. We all have negative thoughts and emotions. Radhe would be the first to say that sometimes she would cry for an hour or two in the middle of her meditations releasing old emotional wounds and negative thinking and came to a peaceful place within her. She had quite an intense childhood in Bolivia. I am more of a communicator. Even though I meditate regularly and find lot of peace through that practice, it is not my way of processing as much as it is for her. I like to process in dialogue… I like someone to process with. Ultimately she processes more within and I process more through interaction with her, trusted friends and confidants. An important part of relationships is self acceptance and acceptance of others. We all have different ways and there is no right way or wrong way. Kathy: You look fit and young. You never seem to age. What keeps you healthy and youthful? Steve: Thank you for that. I have a regiment I follow. I meditate for at least an hour every day. I have been doing this for 40 years and almost never miss a day. Here on Maui, I swim almost every day in the ocean. I come to the beach after 3pm so I don’t get the hot sun. The water is so healing. I feel that is a big part of what keeps me young. Plus I have a great diet. I have been a vegetarian for over 40 years. I eat very healthy and it’s not because I’m trying to eat healthy, I actually like eating this way. I don’t have a propensity for junk food. That said, I enjoy the occasional pizza or piece of cake. I’d say 90 to 95% of my diet is really healthy and 75% of my diet is raw foods. I start my day with a magnificent smoothie. First, I pulverize 2 tablespoons of whole flax seeds in a blender; then I add organic green vegetable juice, carrot juice, handfuls of kale, banana, pineapple, berry mix and a heaping teaspoon of Spirulina. I drink Yerba Mate too. It is a South American beverage that is very good for the brain cells and loaded with antioxidants. For dinner I have an enormous organic salad and a delicious cooked dish. The four main things that keep me youthful are meditation, nature, diet… and being in love! !